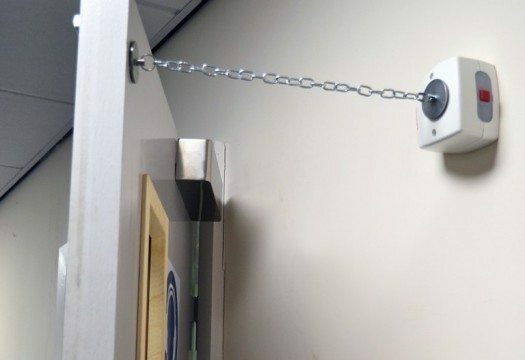 The chain keeper enables a wall mounted electromagnetic fire door holder to be used, even when the door will not open fully to meet the magnet. 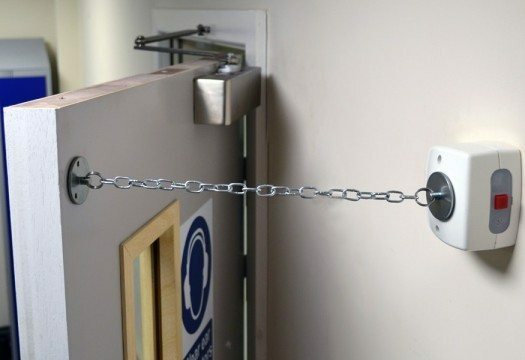 The chain keeper is a very flexible solution to awkward mounting and can be used where the door will not open back to the wall. It will bridge the gap from the open door to where the magnet is mounted. 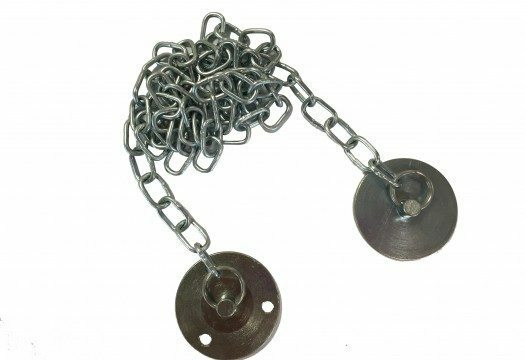 A one meter length of chain is supplied as standard, however the chain can be cut to the desired length depending upon the installation. The rubber o-ring around the chain keeper is not supplied as standard. The Adjustable keeper plate and low profile keeper plate are also available for non standard installations.